Syd Vingoe, one of the grandchildren of Alfred VINGOE, wrote to me from his home in New Zealand to tell me a little bit more about his father. Sydney Gordon Vingoe was born 15 May 1898 at Newlyn. Sydney G. first left home in 1911 age 13. He walked some 18 miles to the town of St Ives, where he signed on as crew with the local shipping line of Hain. His first ship was on the 'Trevose' a "tramp steamer" a ship built on the Tyne in 1896. His first voyage took him to South America, where he and another youth 'jumped ship.' They got jobs on board a small trader working up and down the Amazon River, but eventually they contacted the Salvation Army and asked for help to return home. Sometime later the 'Trevose', after completing her trip to the Baltic, was once again in a South American port and the hapless pair had to rejoin her as crew to work their passage home. I expect that was a very hard trip. Shortly after his return in 1913 to the UK he joined the Royal Navy as a boy sailor and served on the Devonport Training Ship H.M.S. Impregnable. The old Impregnable ended her days on 9 Nov 1888 when she was set aside as a 'hulk', be used in the event of an epidemic. 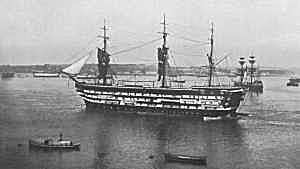 HMS Bulwark took her place and was renamed 'Impregnable' in her honour, as was every subsequent vessel that has served in this ship's stead as a 'school ship' at Devonport. Impregnable' moved ashore in 1936, becoming a stone frigate, a naval establishment on land. 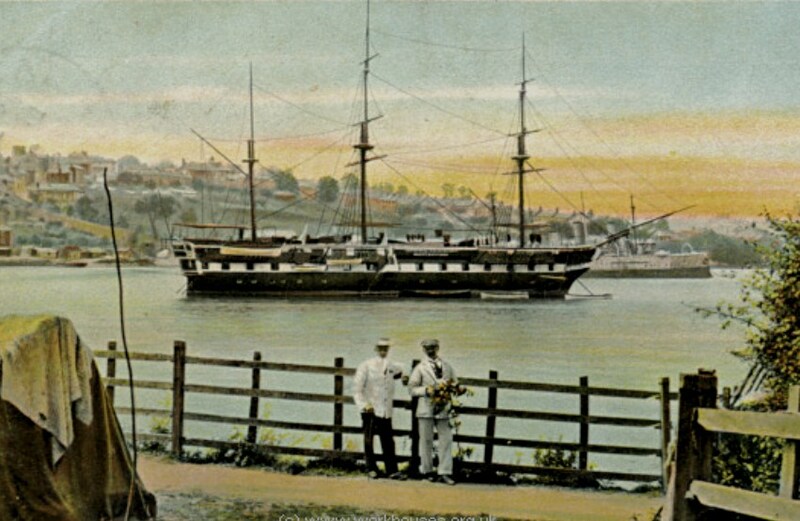 The colour tinted postcard of the School Training Ship 'Impregnable' post marked 1908, could be of the earlier one c1888, as she did not have so many deck levels. The b & w photo, clearly showing three deck levels in white and an open top deck, is of Impregnable c1898. 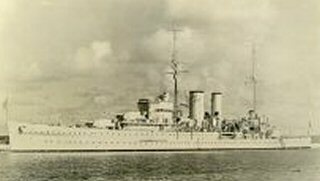 I am informed by an ex matelot that the three ships in line are all training ships and are left to right, 'Inconstant', used for gunnery training, 'Emerald', used for living, sleeping and for most of the seamanship. training, and Impregnable, the largest of the three. The training school eventually closed in 1948. In 1914 he was a member of the Cameroon Expeditionary Force which took German West Africa. As a result of this action he was awarded prize money of £1. 1s. 7d. in 1932! At the time that he received this reward he was serving on board H.M.S. Exeter, a York class cruiser on a courtesy visit to the east and west coasts of USA. He met up with his father in California. He had boxed at bantam weight for the Navy and probably represented the service in a number of bouts during this tour. He joined the Coastguard service, moving with his family to Peterhead, in Aberdeenshire. However, in 1940 he was back in the Royal Navy for the duration of the second world war. He spent some time on R.N. 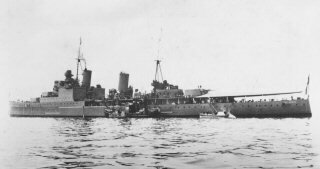 vessels protecting Russian Merchant Convoys, and was awarded the Distinguished Service Medal on 11 Jun 1943 . In September 1945 he was de-mobilised and returned to live in Cornwall, first in St Ives and then in Penzance and Newlyn. He worked as a GPO Postman and part of his delivery route included our home, but at that time I was only aware of a vague family connection....everyone in Newlyn named Vingoe was related. In May 1958 his wife Vera died, after being ill for some time. She was was buried in Sheffield Road Cemetery, Paul. In 1959 Sydney Gordon VINGOE retired and decided to visit his son Sydney Alfred, who was now living in New Zealand. 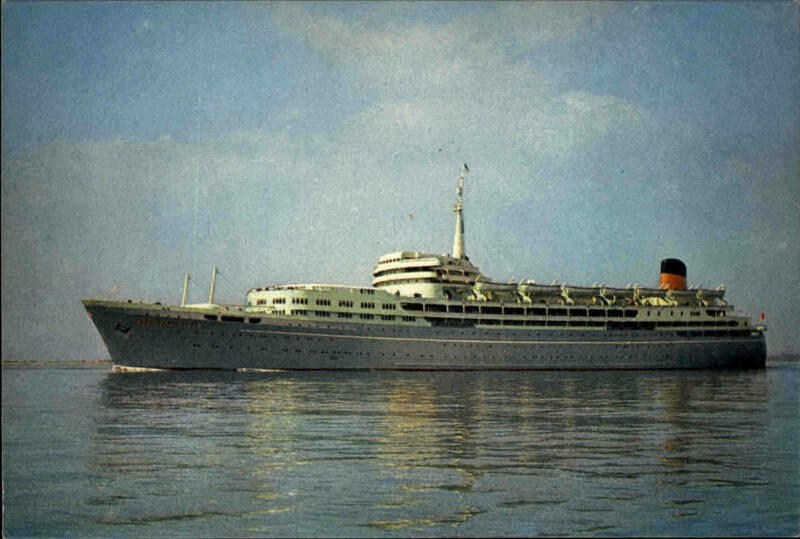 He worked for a while at the Naval Dockyard in Devonport, Auckland, and then went back to sea in 1960 for a couple of years as an AB on the liner "Southern Cross" age 62! As chance would have it my brother, Bob Vingoe, was also working on this ship at the time, as a swimming pool lifeguard. Someone remarked to him on there being two crew members with the same 'unusual ' name. 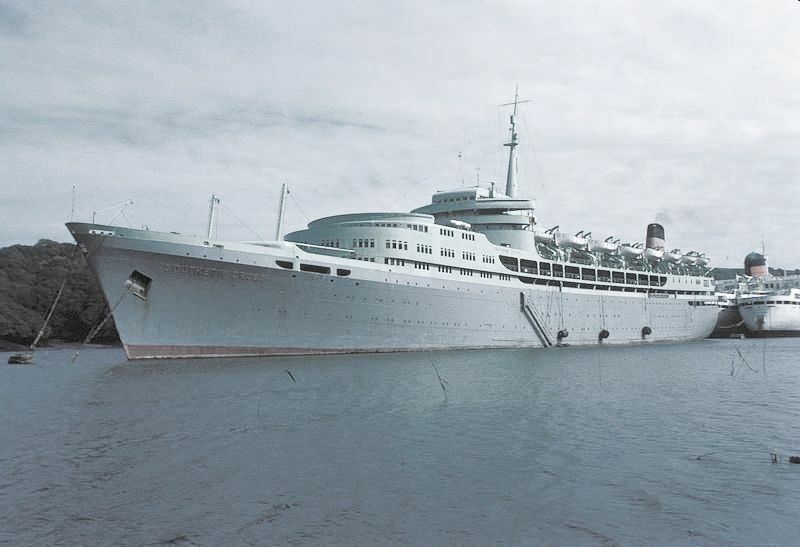 My brother, not knowing of the many complicated connections in the various Vingoe lines, never managed to link up with Sydney G. on board ship, as the "Southern Cross" was a massive ship and he worked most days. We only sorted out which Vingoe family member this was until my brother eventually finished his wanderings and arrived back home! This took a while as in those days the Southern Cross carried emigrants from the UK to Australia and went around the world on one trip. 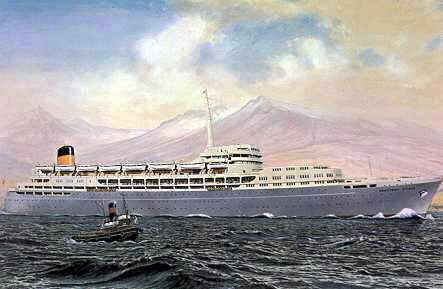 She was owned by the Shaw Saville Line and on her maiden voyage, she departed for Australia and New Zealand on 29 March. The 76-day voyage was in a westerly direction, calling at the ports of Trinidad, Curaçao, Panama Canal, Tahiti, Fiji, Wellington (May 2), Auckland, Sydney (May 9), Melbourne (May 11), Fremantle (May 16), Durban, Cape Town, Las Palmas and back to Southampton. Sydney did return to the UK in 1966/8 and was married in Carrick-on- Shannon, Ireland. He and his second wife had three children before he passed on at the grand old age of 98. Ruby Winifred Vingoe was born 30 August 1899 at Newlyn and she was always known as Winnie. She went to America with her father and most of her brothers and sisters in 1921 and married Alexander Rutherford in Philadelphia. They had a son called Kenneth Alexander Vingoe Rutherford, who was born 13 August 1923, but unfortunately he died aged 19 from kidney disease. Winnie died in California in 1964. Cecil George Vingoe was born on the 13 December 1901 at Drift, Sancreed. As recorded previously, he had sailed with his father on board the "Kroonland" in 1927 and the next we know is that he married Dorothy Winifred Harris (born 28 October 1900) in 1950. They had no children and he died in Mousehole, Cornwall in January 1967 and was buried in Paul Cemetery. Dorothy died on the 01 January 1978 in Penzance. Roma Violet Vingoe was born 28 April 1904 at Penzance and was known as Violet. She married John Thomas Rutherford (b 02 Jan 1894 IRE) on the 19 October 1924 in Los Angeles, California, USA. John was the brother of her sister Ruby Winifred's husband, Alexander. Unfortunately the marriage did not last and on the 24 of March 1927 they were divorced in Chicago. After her divorce Violet married Fernand Auguste Chevillard on 26 April 1927 in Santa Barbara, California Fernand was born on 18 March 1900 at Ciel, nr Chalon-sur-Saone, France, the son of Leon Chevillard & Marie-Louise Stephanie Thevenin. They had one daughter who in turn also had one daughter. Violet died 18 August 1999 in San Diego, California, but she rests at Paul Cemetery in Cornwall. Mary Louisa Vingoe, born 08 January 1906 in Penzance was always known as Cissie. She also went with her father and mother to America. On the 5 of June 1923 she also married into the Rutherford family. Her husband was Richard Alexander Rutherford b1890 in Ireland. Cissie and Richard had two children, who were both born 13th April, but 22 years apart! The eldest, Richard Malcolm, died on the 18 of September 2003, he was 79 years old and is survived by two sons, and some grandchildren and at least one great-grandchild (all in California?). His sister, Maureen, lives in Las Vegas and has two sons, as well as a few grandchildren. Lauretta Vingoe, was born on the 6th March 1907 in Penzance. She had a son, Francis, who in turn has three daughters followed by one son. The third daughter is married with a son and a daughter. Francis Warwick Vingoe, was born on the 14th September 1910 in Penzance. He was always known as Frank by his family and friends. He had three children, He had three children, a son and two daughters, who went on to have four children of their own. One of his daughters Dorothy has passed away. As far as we know they all these grandchildren live in California. Bertha Margaret Vingoe, born 11th September 1911 Penzance was always known as Peggy. She married a Mr Olson and had a daughter, who in turn has two daughters. The first of these is married with two sons and the second is married with two sons and daughter. They all live in California.